It is our dedication to excellence that sets up apart from all the landscaping companies in Sarasota, FL. We are proud to be your go-to provider for both residential and commercial lawn care and landscaping. After years of experience in the industry, we’ve discovered that each and every lawn is different from the next. Each have different care requirements and each have their own unique characteristics. When we work with a customer, the very first thing we do is sit down with them to discuss exactly what they’re looking for from our services. By doing this, we’re able to customize our care plan to meet the needs of all of customers, no matter how different their landscapes may be. We are also happy to adapt our services to meet the schedules and budgets of our clients. While lawn care is important, it’s not the only aspect of your property that needs to be maintained—and we get that. 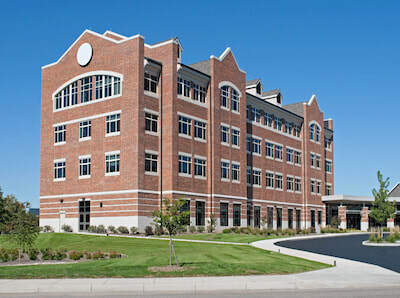 ​For highly personalized service and an always courteous staff, you’ve come to the right place. Our team is waiting for your call and is eager to hear more about your landscaping needs. If you're tired of spending your weekends trying to maintain your yard, you need a landscaping company that you trust. With us, your satisfaction with our work is our highest priority, and we will go the extra distance to make sure we exceed your expectations every time we work on your property. We understand that you have a busy schedule and sometimes life moves so fast that it’s difficult to even find a second to think about your yard, garden, or landscape. Luckily, that’s what were here to help with. We’ll take away your worries and turn them into something you can enjoy when you look outside your windows. Our landscapers are the best in the business—and we’re not just saying that, we truly believe it. From simple mowing to installing a retaining wall or planting a new bed of flowers in the front yard, we are ready to do whatever it takes to meet your goals and expectations for your landscape in Sarasota. 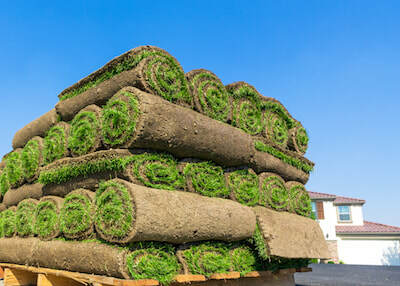 Sod installation may seem like an easy Saturday afternoon’s work for a homeowner, but that’s actually far from the truth. To install sod properly and precisely, it’s important to have an expert team that is trained on what they are doing. Whether it’s sod for your current lawn or sod for that new building going up down the street, our staff will successfully lay the foundation for years to come. We’ll ensure that it’s not only visually appealing, but level and solidly compact—and ready for immediate use. Our team understands that when people think “sod,” they think “quick fix,” and that’s exactly what were here to deliver. Once sod is installed, we’ll do a series of various checks to ensure that its secure. Regardless of whether it is used on a commercial or residential property, sod should be positioned tightly in place so that there are no empty or uneven areas in sight. Placement can be sometimes be difficult, but our team has worked in close-quartered areas and have still be able to complete installation effectively. Once the job is complete, it will be obvious why sod installation is one of the most popular services we offer. A well-maintained, manicured lawn can really help your home stand out in Sarasota, FL. We understand that not all yards need the same care, that’s why we offer a wide range of lawn maintenance packages for homeowners. Life moves at a fast pace, and often yard work gets overlooked. It’s easy to put off mowing the grass, trimming the hedges, or watering the flowers, but after a while, it will take its toll. Instead of losing hope in your lawn, contact our team for assistance. 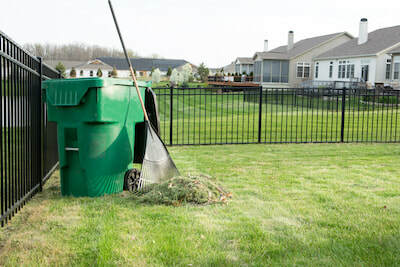 We’ll work around your busy schedule and come up with a plan to revive your current landscape. 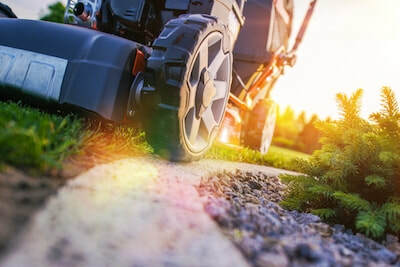 From spring, summer, fall and winter, our staff will treat your lawn like it’s our own and maintain the bright green scenery that all Floridians love so much. As a business owner, we completely relate and understand the need to make a good impression—not only figuratively, but actually. Of course, making a good impression starts on the exterior, and in this case begins with your landscaping. The grounds that surround your office park, apartment complex, or restaurant are the first thing potential customers see when they arrive at your door. So, ask yourself: Is your grass trimmed? Do you have flowers to add a little color to your landscape? Are your hedges overgrown? All these factors and more can influence the decision of your customers. But, have no fear, at Sarasota Landscaping Services, we specialize in designing, creating, and maintaining large-scale landscapes for commercial properties all throughout the local community. We know that each commercial lawn requires a different amount of care, and we personalize each lawn care program to your needs. Does your landscape feel like its missing something? Flowers? No, got that. Hardscape details like retaining walls or a patio? Nope, got that too. 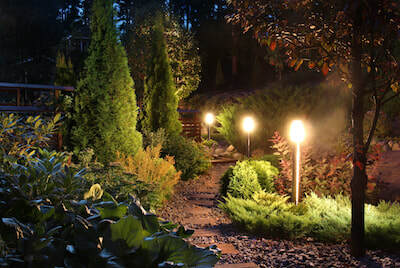 Well, there’s one thing that we believe every good landscape needs: lighting! By shining a little light on your landscape and you’ll be surprised how much of a difference it makes. Not only does it improve the overall aesthetics of your property, but it improves security and functionality. It will be able to give you the ability to show off your lawn both during the day and at night. When it comes to landscape lighting, we believe you can never overlook the details. This include what type of lights you use, along with the exact placement of the lights themselves. Each customer is unique and so is each property. That's why the first step in our outdoor lighting design process is free onsite consultation with you to determine your needs, wants, and concerns for your outdoor space. To have a successful landscape, particularly one with a flower patch or vegetable garden, you need to have a strong base—and that starts with soil. Soil is often overlooked at something that remains out of sight and at the bottom of your landscaping, but it’s actually so much more than that. Without the right soil, it’s difficult to get anything to grow or thrive. Choosing the right topsoil for your plants is always your key to success. While many of our customers aren’t informed about the different types of soils that are available for their properties, we’re always happy to help them learn. Not only do we sell soil for purchase, but we also offer service where we can lay and install the topsoil ourselves. By working with our staff to lay your soil, you’ll ensure that the proper amount is used and that it’s been distributed evenly. We can also help you pick the right soil for your landscaping project and suggest additional add-on items that might also promote the growth and well-being of your plants. At Sarasota Landscaping Services, our aeration and compost process is simple but effective. We use our equipment to basically “poke” holes within the soil—generally up to a few inches from the surface. This is will not only help to aerate your lawn, but it will help to breakdown and spread out any potential nutrients in the soil that were static before. Additionally, you’ll notice added benefits in reducing the overall stress of your landscape and strengthening the ground. In all, working with our team means you'll never have to tolerate a one-size-fits-all aeration treatment. We know the idea of aeration and compost of relatively new or foreign to many of our customers. Because of this, we find that some of our customers are unaware of the true benefits and impacts of both of these services. For example, did you know that without aeration, your soil will stay compact, which can reduce the amount of nutrients it shared with your lawn or plant life? Not to mention, aeration can help increase the body of your grass by allowing for more water, minerals and air to move into the soil. No landscaping design looks charming without the rock, stone, and mulch that are integral to its beauty. While soil is important to the fundamentals of your landscape, gravel, mulch and river rock play another important role. At first sight, these aspects will be one of the first things noticed on your property. This little details are just one of the many ways you can showcase just how much love, care and effort you have given to your property. Not to mention, this aspects help to create contrast throughout your entire design. They bring in colors, like grays, whites, and slate, that wouldn’t otherwise have a place in your lawn. Working with our staff, we’ll let you have your choice at a wide range of options to asset your design. We’ll help you determine what would look best where, and be sure to inform you if any of this additions will affect the regular care needed to maintain your landscape.